ORI partners with Hidden River to rid mercury from our bodies, ourselves, our environment, our futures. Sign the MEDDSURGE petition for Medical and Dental Device Safety Urgent Reform. Report health problems on the MedWatcher website or app (register, select medical device, select dental amalgam). Questions? Email. See the new Evidence of Harm documentary in NYC and LA! NYC times will be posted at www.ifccenter.com. There will be a Q&A after the last showing each day. Learn how mercury damages our bodies, our brains, our children, and our environments. Reach children and young people through teachers and mentors, family members, friends, neighbors, churches and & civic organizations, employees through companies & wellness activities. 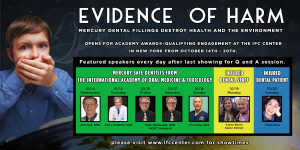 Engage people from all walks of life to build evidence that mercury amalgam in dentistry is a factor in at least 20 percent of chronic diseases, and of health care and long term care costs in the U.S.
Reach decision-makers and politicians through their constituents to ensure the FDA acts on the recommendations of its own scientific advisory panels to restrict its use. Reach health and dental plans through employers, employees, and unions to improve health and lower costs by covering for mercury-free and safe removal options. Join other nations in ceasing its use and promoting safer alternatives to restore our physical, mental and financial health. Patients seeking information about dental mercury can get help from Dental Amalgam Mercury Solutions (DAMS), which has a network of volunteer counselors. To find a biologic dentist for mercury-safe removal when medically indicated, see IAOMT, IABDM, Holistic Dental Association, or Mercury Safe Dentists. Biocompatibility tests for dental materials include BioComp Labs and Clifford Labs. How to find a functional medicine physician. Watch the Holistic Oral Health Summit free online Sept. 28 – Oct 5. Tests for mercury levels include standard heavy metals tests (which measure circulating but not bound-up mercury), challenge heavy metals tests (which measure after a chelator helps the body release mercury), Quicksilver Lab’s Mercury Tri-Test, and urinary porphyrin tests. There are also genetic tests for methylation that increase susceptibility to mercury toxicity; see Dr. Amy Yakso and Holistic Health, and Dr. Ben Lynch and MTHFR.net. Organizations working to end dental mercury use include IAOMT, IABDM, DAMS, TALK INTERNATIONAL, Mercury Safe Dentistry, Natural Health 365, Mercury Free Baby, PA Coalition for Mercury-Free Dentistry, Bay Area Chronic Mercury Exposure Support Group, Consumers for Dental Choice, Mercury Policy Project, Evidence of Harm and Australians for Mercury Free Dentistry. Employers and unions can help by providing a cost neutral dental plan. A cost neutral plan pays the same percentage for safer alternatives to dental amalgam. Insurers offer them with a bit higher premiums, which save on healthcare, sick time and disability costs. Employees: Ask for a cost neutral dental plan for health. 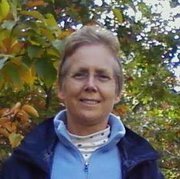 Hidden River helps people learn about gene types and toxins, key factors in chronic diseases and health, and about the importance of our own health information to get and stay healthier. We share what we learn, and take action. This site does not give medical information. Consult with a qualified health care professional.